Achillea millefolium, Yarrow. Full sun, dry soils. Excellent plant for attracting butterflies. Asclepias tuberosa, Butterflyweed. Full sun, dry soil, even tolerant of some sand. Butterfly habitat plant, specifically Monarch host plant. Asclepias incarnata, Swamp Milkweed or Pink Milkweed. Full sun, moist soil. 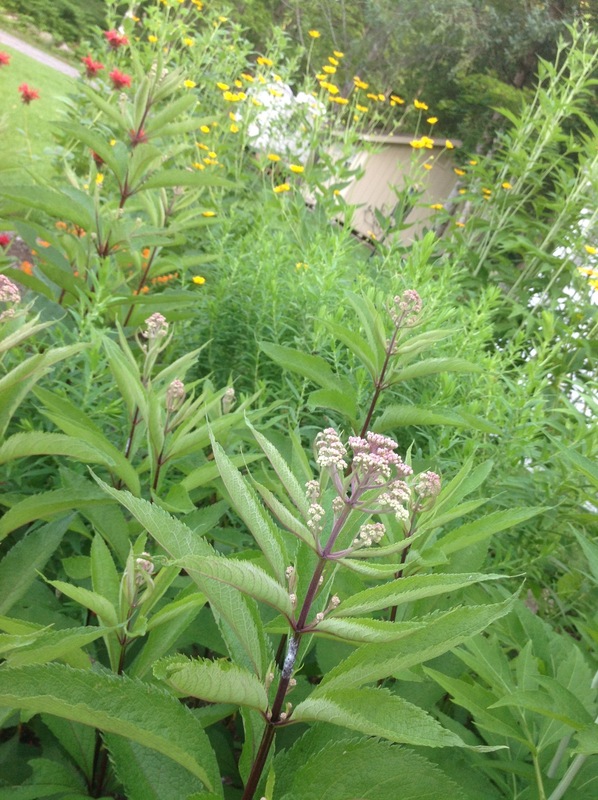 Butterfly habitat plant, specifically Monarch host plant. Lobelia cardinalis Cardinal Flower or Cardinal Lobelia. Partial shade, moist soil. 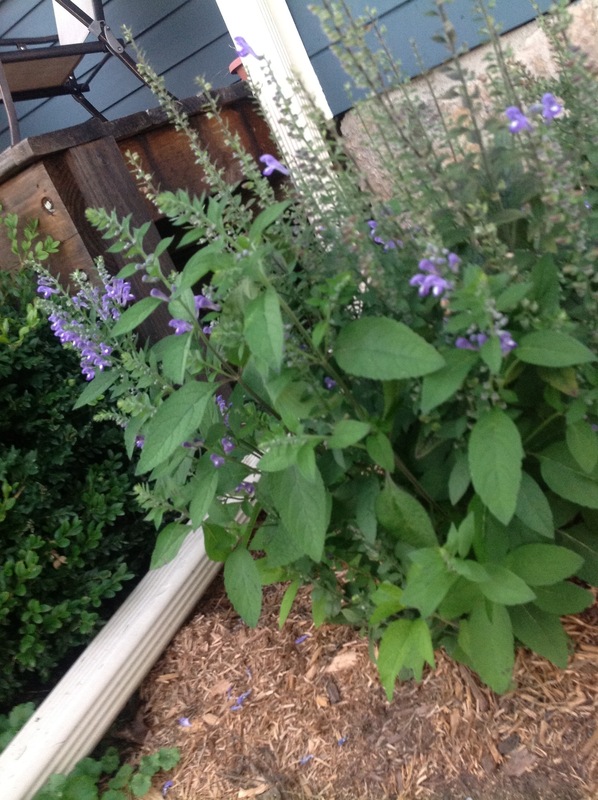 Hummingbird attracting plant, and butterfly plant too. Rudbekia hirta (middle plant) Black-Eyed Susan. (left side) Echinacea purpurea Coneflower. (right side) Phlox maculata Phlox. Here are 3 easy growing natives, all love sun or partial shade (Phlox especially can tolerate shade) and tolerant of all soil types. 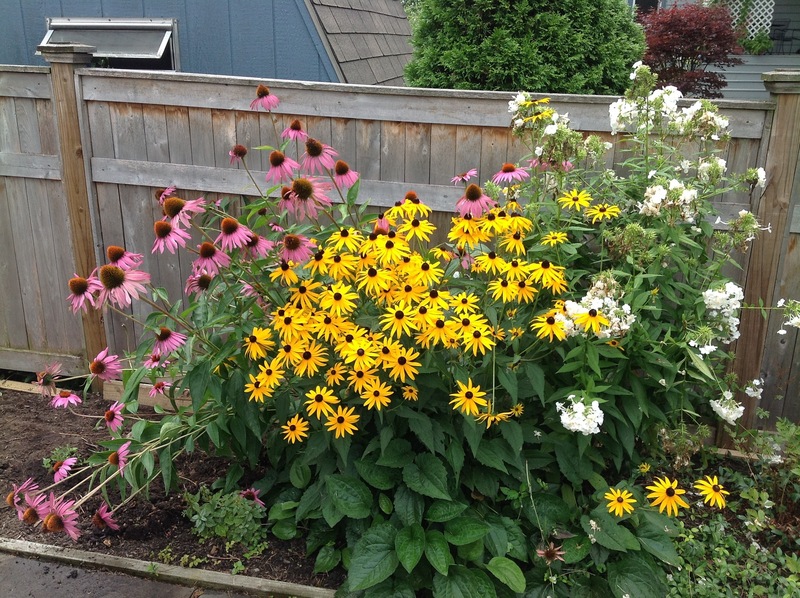 Butterfly’s delight, songbirds love Echinacea and Rudbeckia seeds. 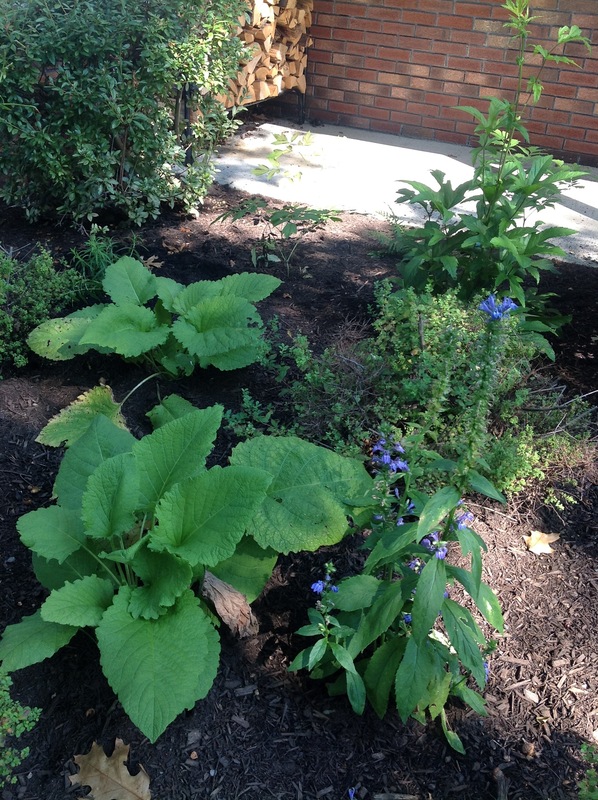 Lobelia siphilitica (on right) Blue Lobelia, partial shade, moist to dry soil. Good for hummingbird and butterfly gardens. 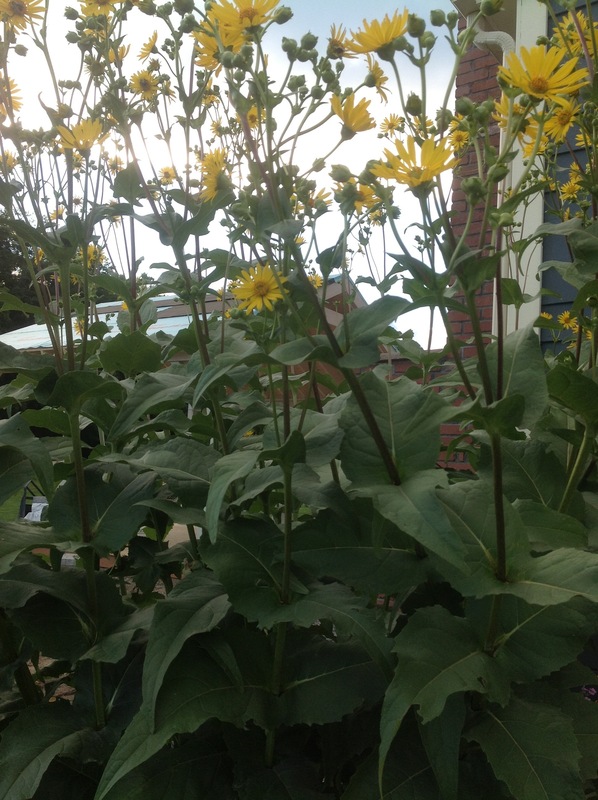 Silphium perfoliatum, Cup Plant. Sun, drought tolerant or moist soil. Spreads prolifically by seed in the garden. 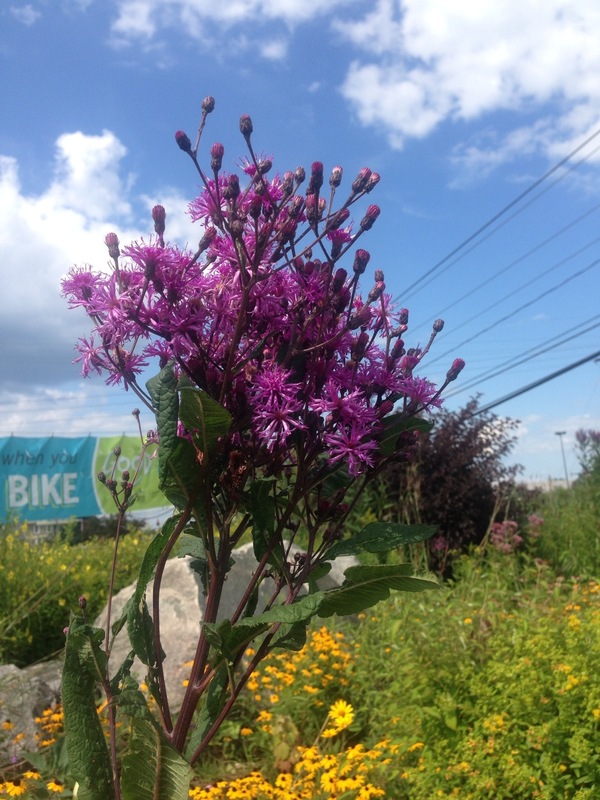 Vernonia noveboracensis or V. glauca Ironweed. 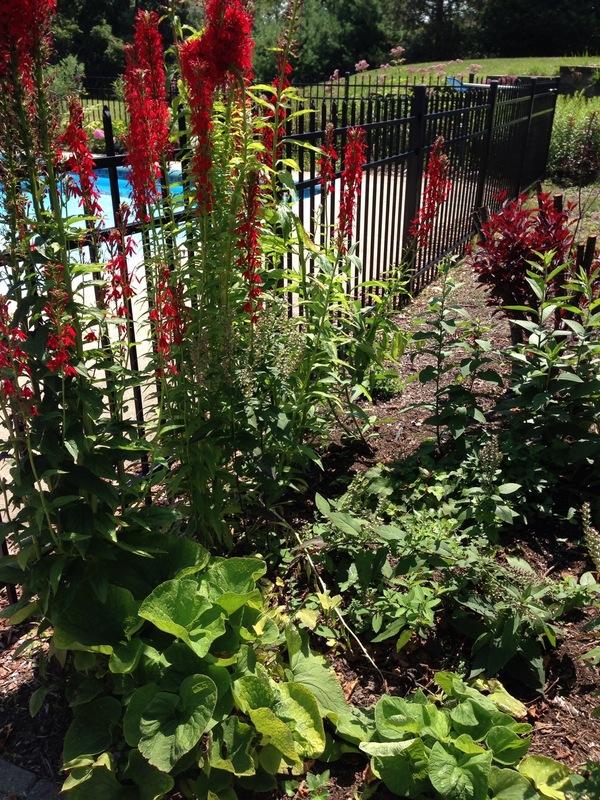 Full sun, wet or moist soils, great for rain gardens and attractive to butterflies. 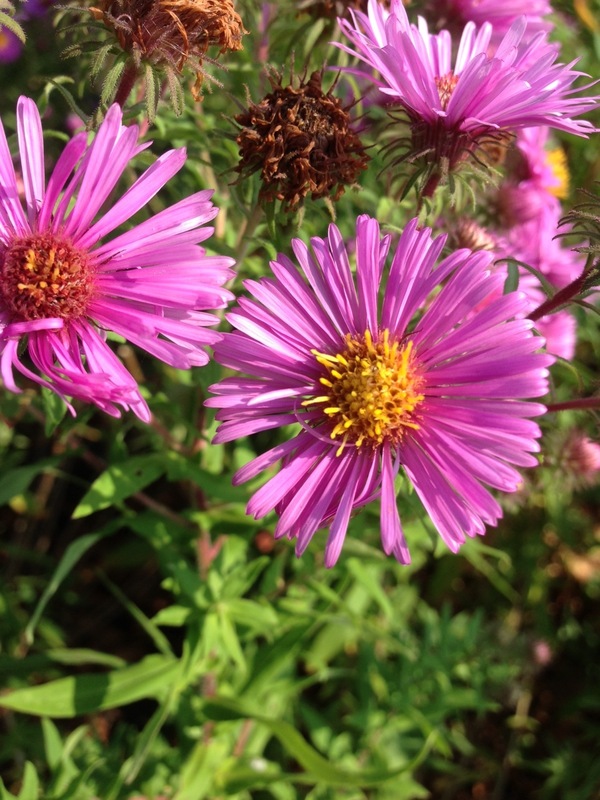 Symphyotrichum novea-angliae or Aster novea-angliae, New England Aster. The quintessential late bloomer, loves full sun and tolerant of wet or dry soils. 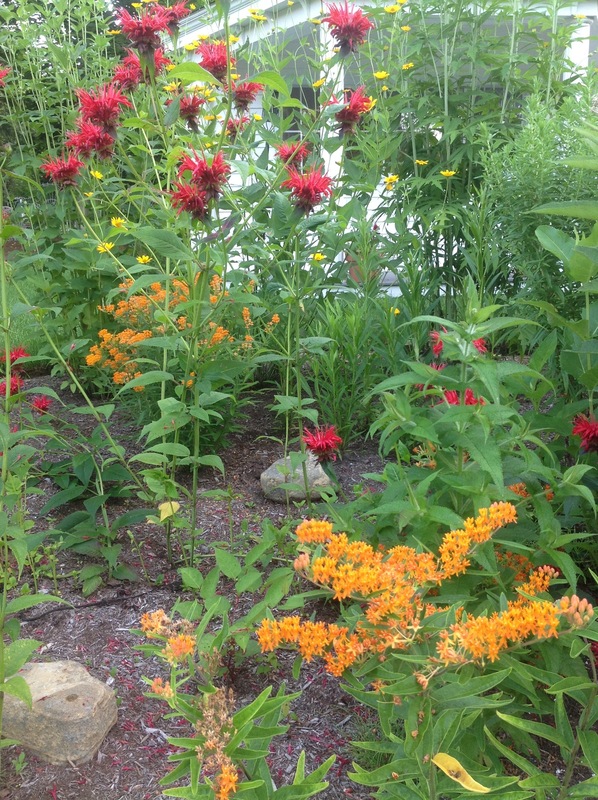 Native plant that feeds many different species of butterflies, particularly the Monarch just prior to migration. Scutellaria integrifolia, Helmet Flower, Helmet Scullcap. Prefers partial shade compared to most Scullcaps and moist soils. 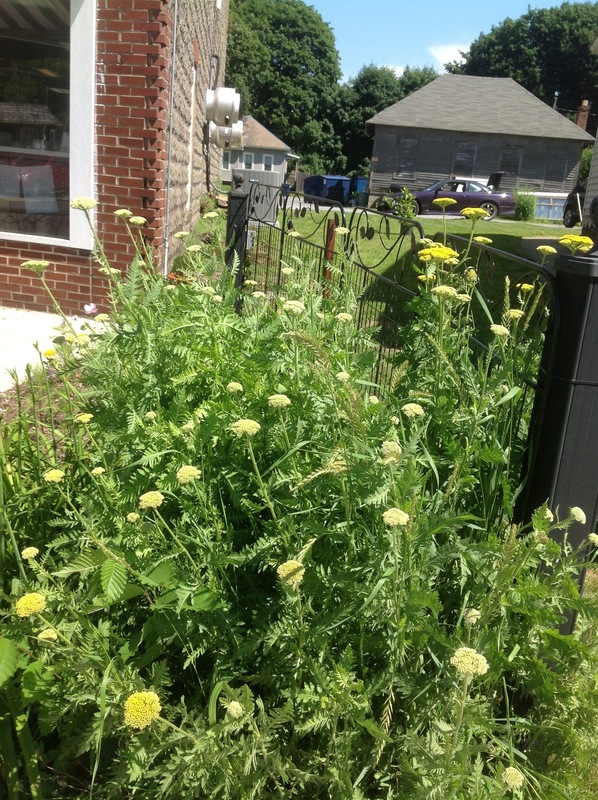 Plant height is 1-2 ft, also smaller than most Scullcaps, great for bumblebees, butterflies and other native pollinators. 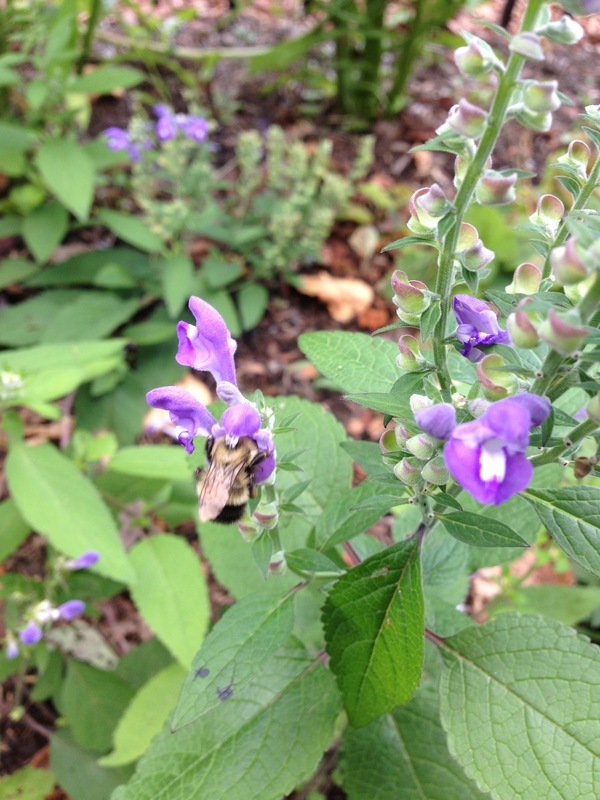 Scutellaria integrifolia is an endangered plant species: not because it is difficult to grow, but because of habitat fragmentation and obscurity in the marketplace. Eupatorium coelestinum, or Conoclinium coelestinum, Ageratum or Blue Mistflower. Ageratum is one of the last flowers to bloom in the fall, blooming for weeks throughout September, October and sometimes even November. Plants stay somewhat small, between 1-3 feet. 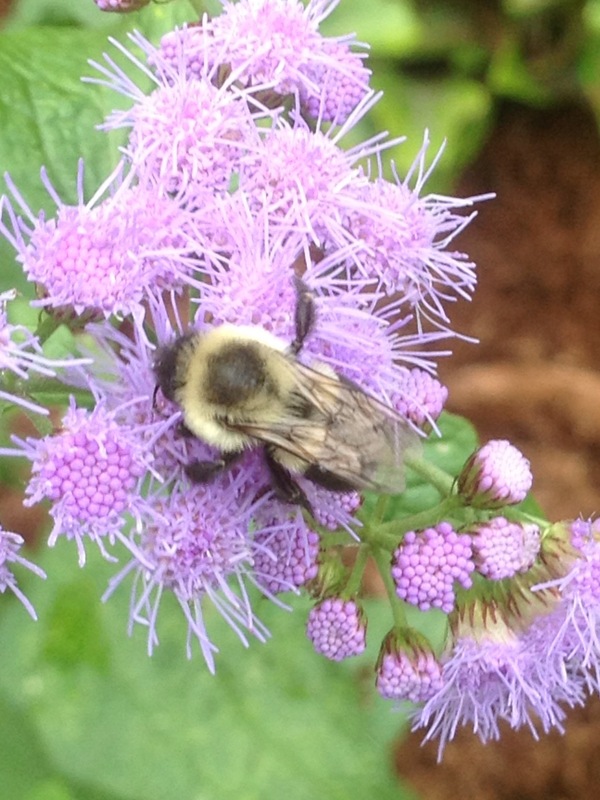 Ageratum provides nectar for late season butterflies and pollinators. Eupatorium maculata or E. purpurea, Joe Pye Weed. 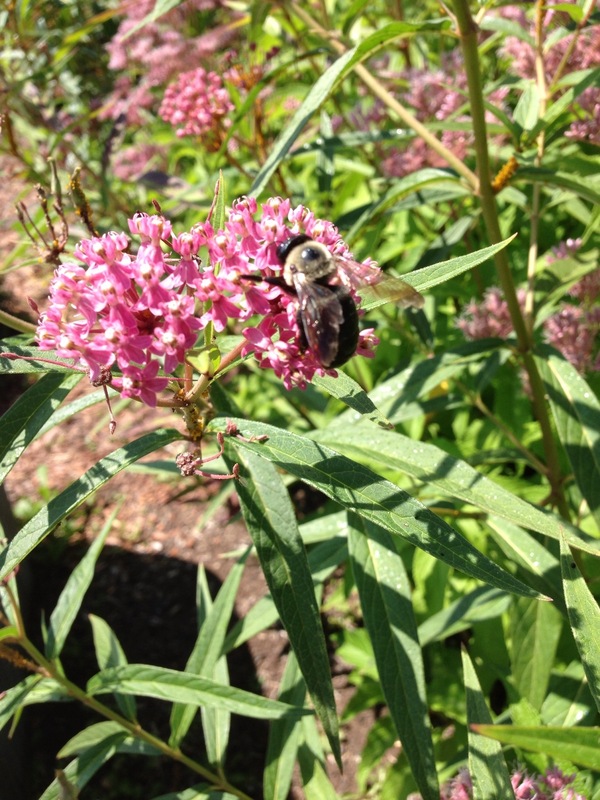 Joe Pye Weed is a classic Saratoga County wetland plant, great for rain gardens, butterfly gardens and pollinator gardens. Plant size varies depending on location, 4-9 ft tall. Tolerant of all soil types. Scutellaria incana, Hoary Scullcap. Scullcap is a sun lover, drought tolerant once established. 1.5 ft -3.5 ft tall. Tolerant of all soil types and even shade.